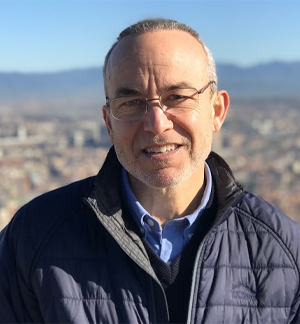 Dr. Theodore Endreny, chair of the ESF Department of Environmental Resources Engineering, has been awarded a Fulbright Scholar grant to serve as Distinguished Chair in Environmental Science at Parthenope University in Naples, Italy. Endreny will hold the prestigious position during the spring semester this year. His appointment was announced recently by the U.S. Department of State and the J. William Fulbright Foreign Scholarship Board. "I am honored, inspired, and delighted to advance the field of ecological engineering during this sabbatical experience with the many talented students, staff, and faculty across Italy," Endreny said. "Parthenope has structured its curricula in a manner consistent with the Italian Renaissance, creatively combining science, technology, engineering, art, math and medicine to address the grand challenge of sustainability." Endreny's work focuses on how ecological engineering of urban watershed restoration can solve several interrelated energy, water, food, sanitation, and biodiversity scarcity problems and improve human health. At Parthenope University, he plans to teach two courses: Ecological Engineering for Urban Restoration and Modeling Urban Watersheds. He also plans to mentor undergraduate students on opportunities for study in the United States and to mentor Ph.D. students on research. His research objective is to ecologically engineer urban watershed restoration using trees and green infrastructure, among other innovations, to increase ecological services that secure the interrelated goals of social, economic, and environmental sustainability. Beyond the university, he said, he will offer walking tours, lectures, and workshops to local, city, and regional groups of professionals interested in the new paradigm of ecological engineering, the i-Tree tools (software for urban forestry), and how they can address urban energy and resource sustainability. He has also coordinated scholarly research, seminars, and workshops on urban watershed restoration with the department heads at two other Italian universities, University of Trento and University of Florence, and with a scientist at the European Commission Joint Research Center (ECJRC) Institute for Environment and Sustainability, in Ispra, Italy. Endreny received a B.S. in 1990 at Cornell University in Natural Resources, an M.S. in 1996 at North Carolina State University in Biological and Agricultural Engineering, and a Ph.D. in 1999 at Princeton University in Civil and Environmental Engineering. From 1990 to 1992, he served as a Peace Corps volunteer with the Honduran Forest Service working in the Capiro-Calentura National Park and Guaimoreto Lagoon Wildlife Reserve. He served as a research associate at the Environmental Law Institute in Washington, D.C., before joining the ESF faculty in 1999. He was licensed as a professional engineer and professional hydrologist in 2002. Endreny is one of only three U.S. faculty members to receive the highly competitive Italian distinguished chair positions. The Fulbright Program is the flagship international educational exchange program sponsored by the U.S. government and is designed to increase mutual understanding between the people of the United States and the people of other countries. The primary source of funding for the Fulbright Program is an annual appropriation made by the U.S. Congress to the U.S. Department of State, Bureau of Educational and Cultural Affairs. Participating governments and host institutions, corporations and foundations in other countries and in the United States also provide direct and indirect support. The program operates in more than155 countries worldwide.